Frequently Asked Question - Linx Legal Inc.
Who is Linx Legal Inc? We are a consulting firm who specialize in the cancellation of timeshare debt by using eight years of case experience. We work with experienced attorneys and other companies to help eliminate your timeshare burdens. Our team of timeshare cancellation experts know how to legally free you of your timeshare debt obligation. At Linx Legal Inc. our job is to help you, not sell you. You can evaluate if we are the right company for you, risk free. We offer a money back guarantee if Linx Legal Inc. is unable to eliminate your timeshare burden. Can I use your services if I still have a balance owed on my mortgage/loan? Absolutely. Linx Legal Inc. specializes in partially or completely cancelling out timeshare debt, including any outstanding financial obligations owed directly to the the timeshare developer. Does Linx Legal Inc. buy, rent or sell timeshare? No. Linx Legal Inc. assists families in exiting the timeshare debt with or without a mortgage obligation. Does your service involve me getting into another timeshare obligation? No. Linx Legal Inc. specializes in timeshare cancellation. Linx Legal Inc. does not buy, rent or sell timeshare. As every timeshare ownership is unique, our fees vary based on your specific timeshare ownership, and desired resolution. Linx Legal Inc. performs a free, comprehensive, no obligation consultation, and provides options for potential clients. We stand behind our 100% money back guarantee that if for any reason we are unsuccessful at cancelling, or partially cancelling your timeshare debt, you will receive a full refund. What happens if you’re unsuccessful at cancelling my timeshare debt? 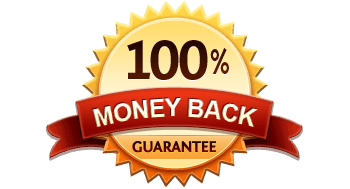 In the rare case we’re unable to obtain a successful cancellation, based on the service agreement, we stand behind our 100% money back guarantee and you will receive a full refund of your fee. How am I updated throughout the process on the status of my cancellation? Linx Legal Inc. assigns a cancellation manager to your account, who will provide you with ongoing updates throughout the process; They are only a phone call/email away. We have a less than 24 hour return call/email policy. It is usually same day, as long as it is in working hours Monday-Friday. What is my current timeshare worth? Most timeshares are illiquid assets with no aftermarket, making it difficult, if not impossible to sell. As a consumer, you can visit credible online resale sites and purchase the same or similar timeshare ownerships for pennies on the dollar on eBay.com and Redweek.com. To start the process of cancelling your timeshare debt, simply complete our online questionnaire to begin your free, no obligation consultation. Once the online questionnaire is submitted, a consulting director will contact you to answer any additional questions and discuss the next steps of the free, no obligation consultation process. The process can take between a few months up to two years, however, the average debt cancellation takes less than twelve months. Is Linx Legal Inc a law firm? Linx Legal Inc. is not a law firm. Linx Legal Inc. interfaces between you and an attorney, if one is used for your timeshare debt cancellation. As opposed to a client retaining the services of a licensed attorney, and paying hourly fees, with no guarantee of a successful resolution, Linx Legal Inc. removes all the risk for the client, by standing behind our 100% money back guarantee. Linx Legal Inc. has utilized the professional services of an attorney for the past seven years.